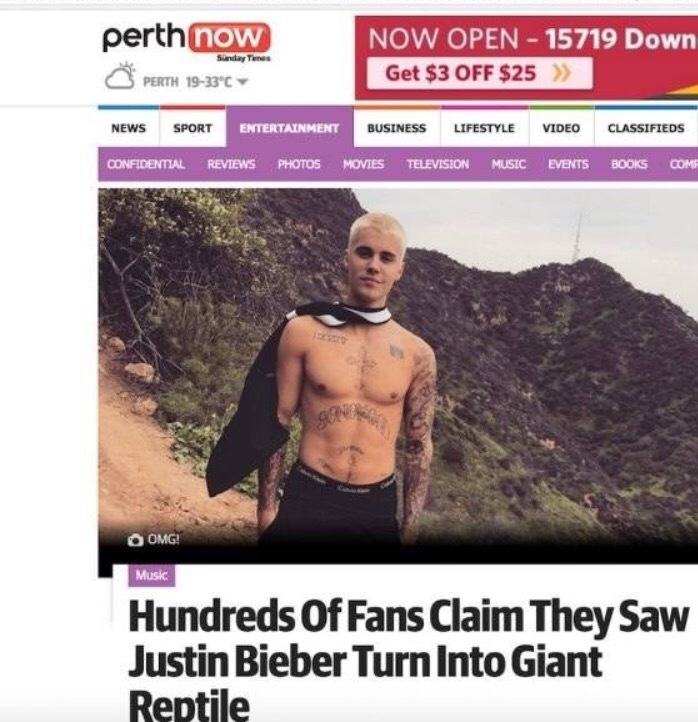 An allegedly published in Perth now (an Australian newspaper, Justin is currently touring down under) has been quickly taken offline after saying Justin Bieber shape shifted into a giant reptile. He shape shifted at the airport and sent hundreds of fans into a distressed frenzy. The alleged story claimed Bieber fans saw him grow ‘gross, coloured scales’ all over his body. When contacted Perth Now denied publishing any such article. Though this screen shot is doing the rounds on the internet. And it’s not the first time Justin Bieber has been outed as a Reptillian overlord. Take a look at this headline. According to the article Justin Bieber is apparently member of the ‘dominant-reptillian-illuminati bloodline. The now denied Perth Now article had a witness stating ‘He had a black stripe down the middle and big scaly claws that were lashing out angrily’. This is the screen shot of the some of the text on the article. 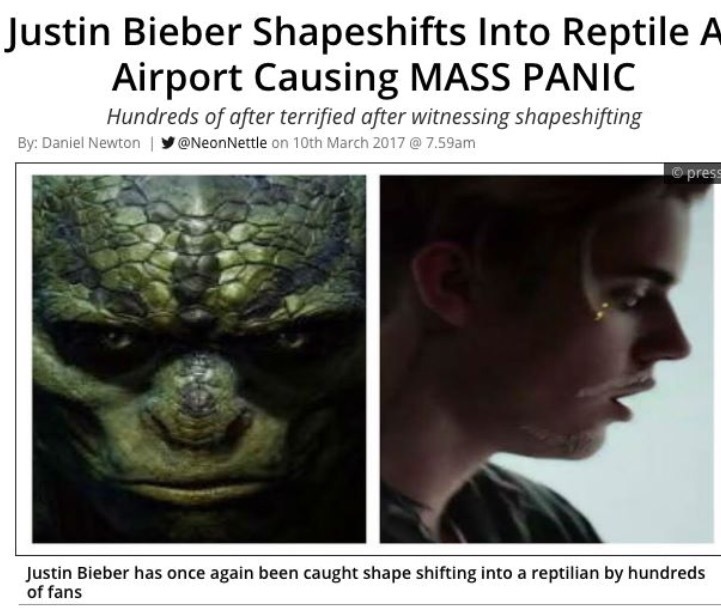 Even though the article was removed from the internet, the reptilian sightings continued the next morning, after Bieber left his $25,000-a-night Chairman’s Villa hotel room at Crown Towers and was spotted in camouflage shorts and white t-shirt at nearby Leederville skate park. 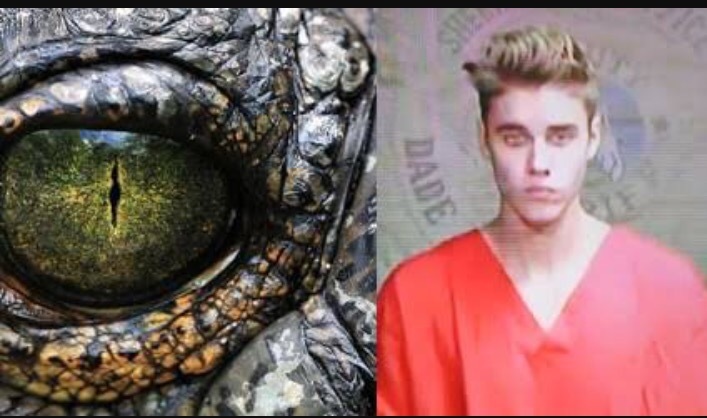 Reptillian experts sat Bieber belongs to the Babylonian Brotherhood – a group of shapeshifting reptilian humanoids determined to control the world and usher in the New World Order. According to historians there have been sightings of reptilians around the world at regular intervals throughout history, though it is believed that we are now in a golden age of reptilian sightings. There is a belief that the world is gaining consciousness, waking up, and that the veil is slowly lifting. They say that Justin Bieber, a member of the dominant reptilian-Illuminati bloodline, is becoming one of the most commonly sighted shapeshifting reptilians in the world. Two people watching the same scene will not necessarily both be able to discern the shapeshifting reptilian, however experts are saying that more people than ever before have developed the ability to witness reptilians manifest in their true form.